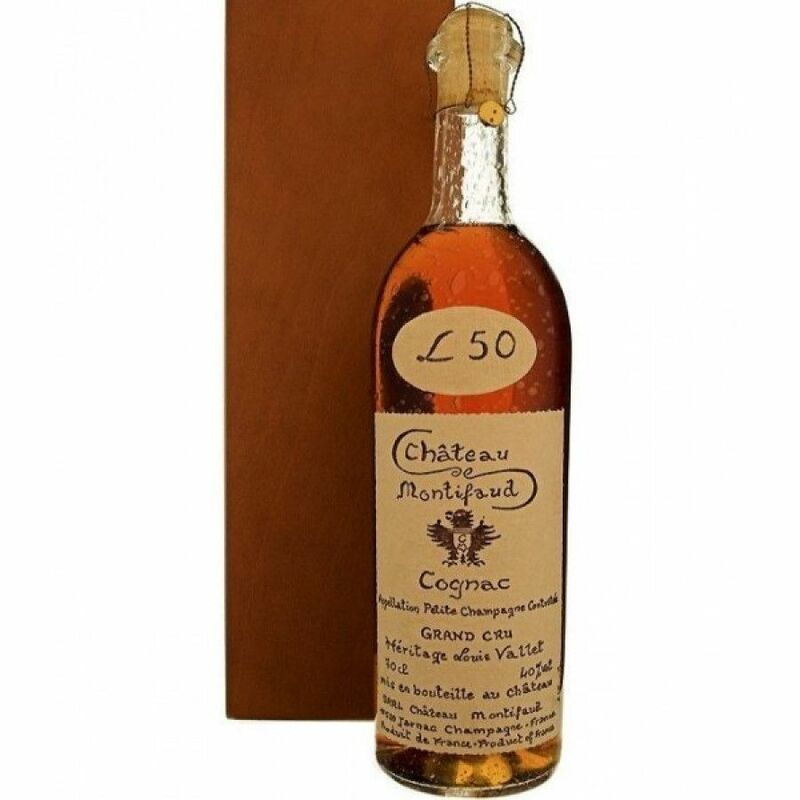 Chateau de Montifaud L 50 Grand Cru Petite Champagne is the 50cl version of Héritage Louis Vallet cognac, and comes in a beautiful, simple bottle and wooden case. It's at 50° ABV, and consists of eaux-de-vie that date back to 1947 to 1955, aged in oak barrels. This cognac will be put into dame-jeanne in some years as it has reached its highest point of ageing, and will then stop ageing.